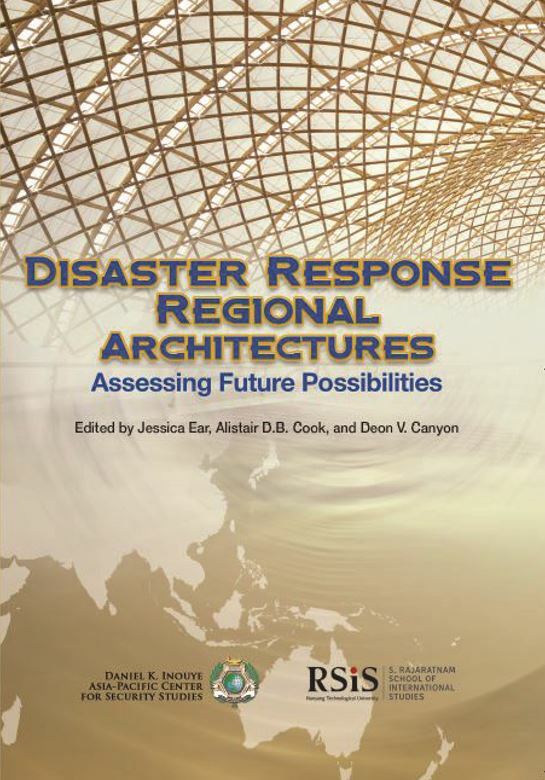 “Disaster Response Regional Architectures: Assessing Future Possibilities” is a new joint publication by the Daniel K. Inouye Asia-Pacific Center for Security Studies and the S. Rajaratnam School of International Studies. The concept for the policy report, edited by Jessica Ear, Alistair D.B. Cook, and Deon V. Canyon, originated at a three-day humanitarian assistance and disaster relief workshop, held in Bangkok, Thailand, July 2017. This policy report provides guidance for leaders and fosters ongoing regional dialogue to inform and assist in achieving greater disaster response collaboration through improved regional architectures and cooperation. The policy report is broken into three sections: 1) Sub-Regional Response Issues, Challenges, and Cooperation Developments; 2) Case Studies of Coordination and Cooperation; and, 3) Towards a More Collaborative Future: Optimizing Regional Responses and Cooperation. Case studies include Philippines’ Typhoons Haiyan and Hagupit, Nepal Gorkha Earthquake, Fiji’s Cyclone Winston, and Japan’s Disasters.